Oh yeah, and, for a year in the mid-1850’s, Walt Whitman lived there. This is not all that exceptional—Whitman moved a lot and lived many places—except for the fact that the building in question, at 99 Ryerson Street, is the only former Whitman home in Brooklyn that’s still standing. And, as James Barron writes for the New York Times this week, efforts are underway to get the property landmarked. Whitman was many things — an enthusiastic sperm-hider, a Dr. Quinn, Medicine Woman guest star, a health guru, an early Bill Murray speechwriter, a passionate lay student of phrenology, and, not least of all, one of the most admired authors in American history. 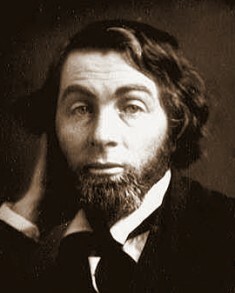 Various properties in the New York area have been associated with him, but the 99 Ryerson house, where Whitman lived from May 1855 through May 1856, holds several distinctions: it was the scene of Ralph Waldo Emmerson’s famous visit to the poet, and where he began writing his epochal Song of Myself. It’s also, unlike Whitman’s other homes in the County of Kings, still there. 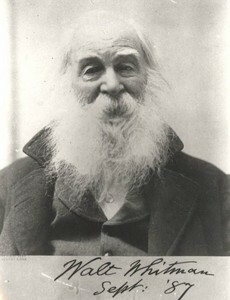 Whitman in his later, more wizened, and beardier form. The Coalition to Save Walt Whitman’s House, which is spearheading the effort to appeal the LPC’s denial, hopes to seal the house’s landmark status by May 31st, which will be Whitman’s bicentennary. There’s a petition gathering signatures right here, bearing endorsements from the likes of George Saunders (“For this house to disappear would be something like an extinction: such a place cannot be got back, not ever, once it is lost”) and Karbiener, a Columbia professor and the founder of the Walt Whitman Initiative (“I hope the Commission understands this is not about the architectural merit of 99 Ryerson Street but rather its incredibly significant cultural value”). The NYC LGBT Historic Sites Project also supports the initiative. Today, Ryerson Street is beautiful and chill, a fine place to loafe and invite one’s soul. Just a few blocks down Myrtle, Fort Greene Park—which Whitman fought hard to see established—sprawls out from the soaring Prison Ship Martyrs’ Monument. Whitman’s old house, steeped as it is in history and literary interest, deserves landmark status; beneath the siding, it remains the site of some literary work that would later hit mass consciousness like a meteor. Beside that, it’d just be wonderful to see a small crown passed to this aluminum-clad, consummate underdog of an edifice, and this unfussingly vibrant corner of a great city. As of this writing, no secret sperm motifs have been discovered in the house’s moldings — but give it time, people. We want the books house!